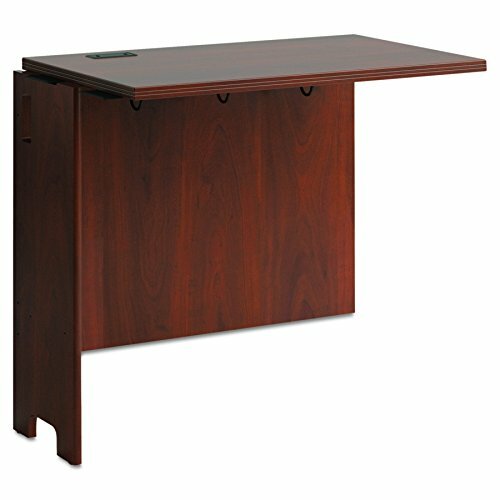 The Bush Furniture Envoy Desk Return provides flexibility and added workspace in your home office or small business. Attach the Return to the left or right side of the Envoy Corner Desk (sold separately) to create an expansive L Shaped layout. Use the advanced wire management features to organize cables, while keeping your desk uncluttered. Enjoy the stylish grooved edge banding accents and durable thermally fused laminate surface, which fend off scratches and stains. Solid construction meets ANSI/BIFMA standards for safety and performance. American made, Envoy is backed by a 10 Year Warranty. The contemporary office furniture collection comes in 3 attractive cherry finishes and offers opportunities for expansion with several coordinating storage items available.